Gas detectors are life saving devices and yet many who use them do not know how they work or how to calibrate them. The selection of a suitable gas detector could make a difference between life and death. Unfortunately, many users see carrying a gas detector as a chore rather than as potentially life-saving. Crowcon has been promoting greater gas detection awareness with their “Life depends on it” seminar. 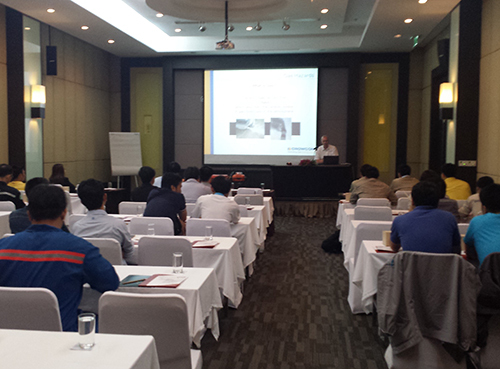 This year we travelled to Rayong (Thailand) and Cilegon (Indonesia) to speak to plant HSE managers, safety officers and instrument engineers about gas & flame detection. Our in-house expert, Andy Avenell, with over 15 years of experience, was our speaker for both seminars which saw over 120 participants in total. During the seminar, Andy explained about various gas risks (toxic, flammable & oxygen deficiency), sensor principles and hazardous area classification. 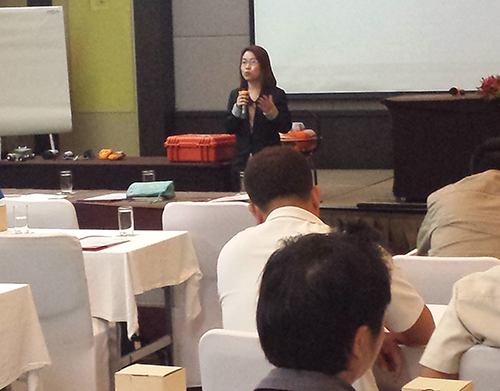 He also covered a wide range of other topics like bump testing, types of gas detector and their selection. During the break, our local distributor was on hand to provide product demonstrations with a variety of gas detectors. For many participants our seminar was their first in-depth training on gas detection, and we were delighted by their strong participation. The training materials provided were also very popular takeaways. We started this series of events in 2014 in Singapore & Jakarta (Indonesia), followed by Gujarat (India) & Balikpapan (Indonesia) in 2015. Our objective in conducting the seminars was to provide a basic understanding of gas hazards and the importance of gas detection in saving lives. We have already received a lot of positive feedback and look forward to hosting more seminars next year. If you would like to attend the next series of training seminar, please contact Melina.Ho@crowcon.com.